We are currently booked through March. 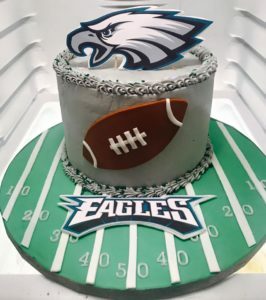 Please call or text today if you need a cake or other sweet treat in the coming months! Nothing makes me sadder than turning away an amazing client! 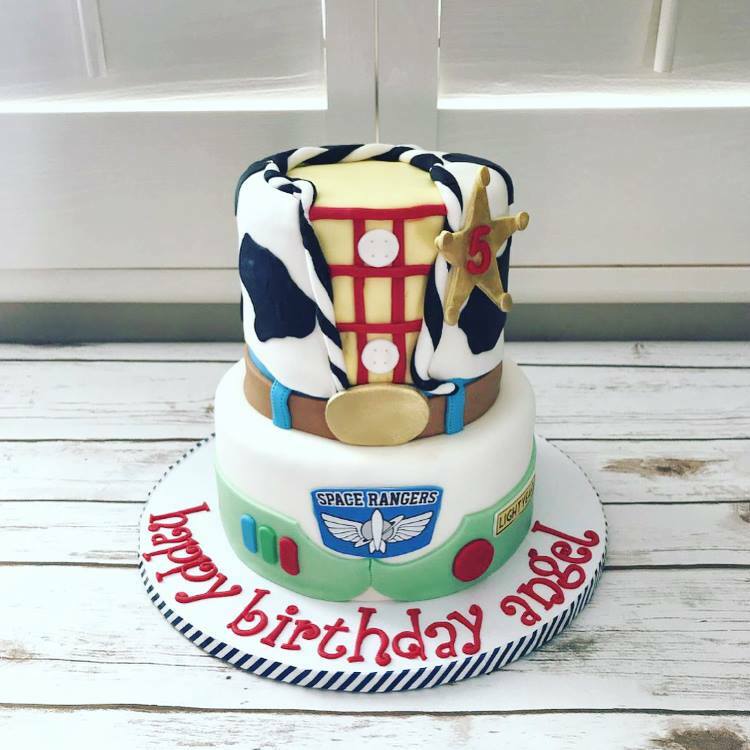 We offer cake delivery throughout the greater Phoenix, Cave Creek and Scottsdale area when the schedule permits. There is a fee based on location. Now booking for April, May, and June. We are currently booked through 3/10 and starting to book up for all remaining weekends in March, with only one spot open on most Saturdays. Please call or text ASAP if you have a cake or other sweet treat needed during the month of March. We are fully booked through 3/9 and now taking requests for dates in March, April & May. Please call or text Sarah at 480-395-3593 for a quote today! 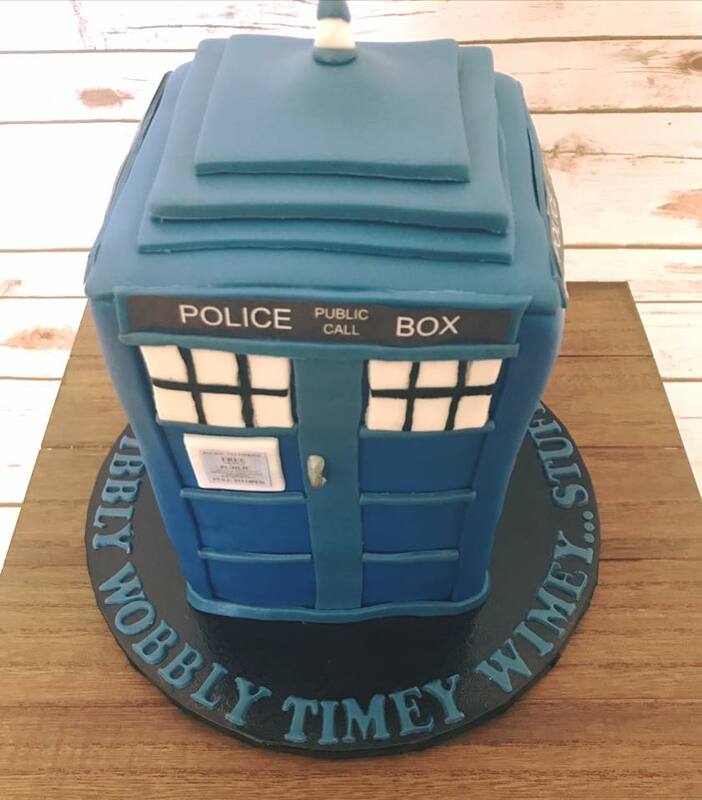 We are almost fully booked for January but do have some space open for pickups- please call or text ASAP if you have an event this month in Anthem, Phoenix, or Scottsdale that you will need a custom cake, cupcakes or cake pops for! Visit and like us on Facebook for updates, pricing specials and contests! 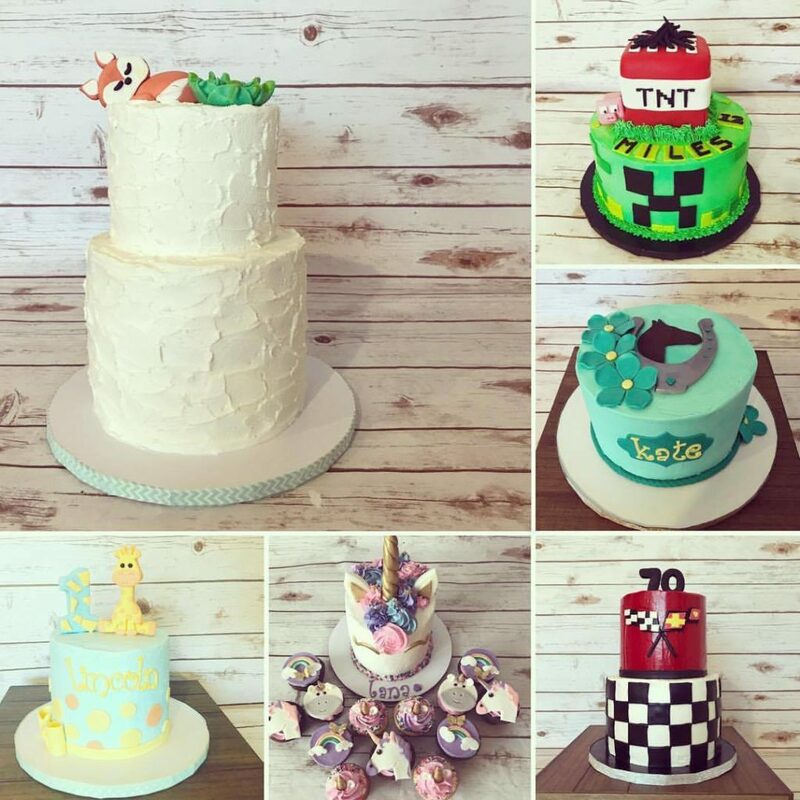 Hidden Gem custom cakes in Anthem, Arizona is fully booked through November 5th. We are now taking orders into November & December. We will be closed Thursday 11/23-Saturday 11/25 for the Thanksgiving holiday. 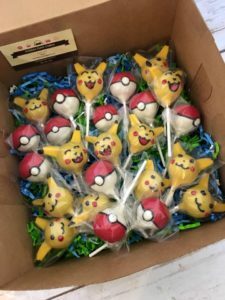 Call, text or message us on Facebook today to inquire about an order for custom cake, cake pops, or cupcakes in Anthem or the greater Phoenix area. Delivery is available throughout Phoenix. Delivery fees vary based on location. 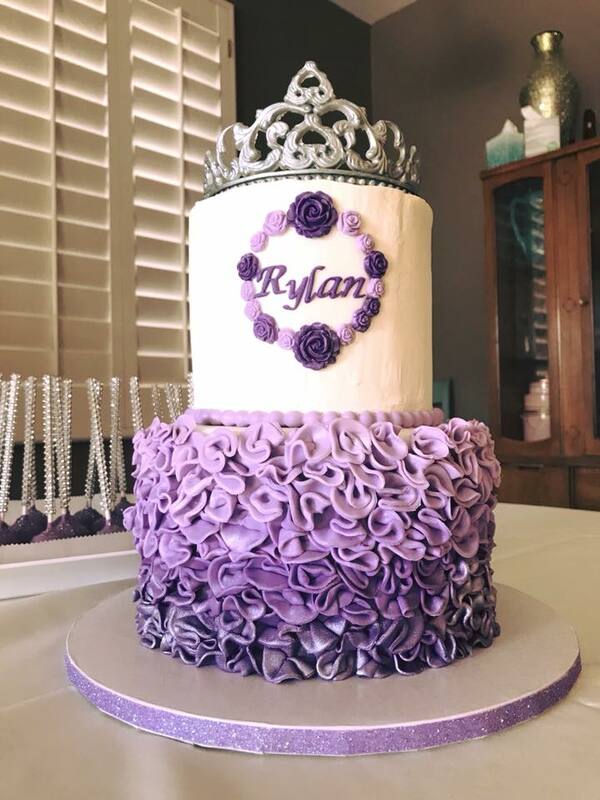 We do recommend booking your event cakes at least 2-3 weeks in advance whenever possible (even further in advance for large orders or celebrations such as weddings) as we do take a limited number of custom cake orders each weekend to insure the highest quality custom cakes and personalized customer service. Every client receives personal attention when planning their special treats. A rush fee of $15 or 15% (whichever is higher) does apply to all orders made less than 7 days before pickup/delivery when space is available. 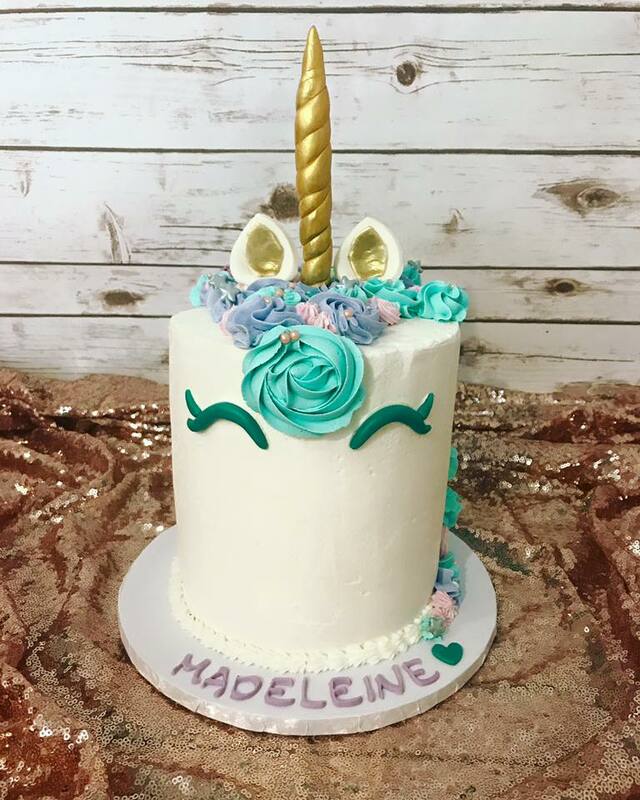 Thank you for visiting Hidden Gem Cakes! Please like & follow us on Facebook for schedule updates & give-aways! 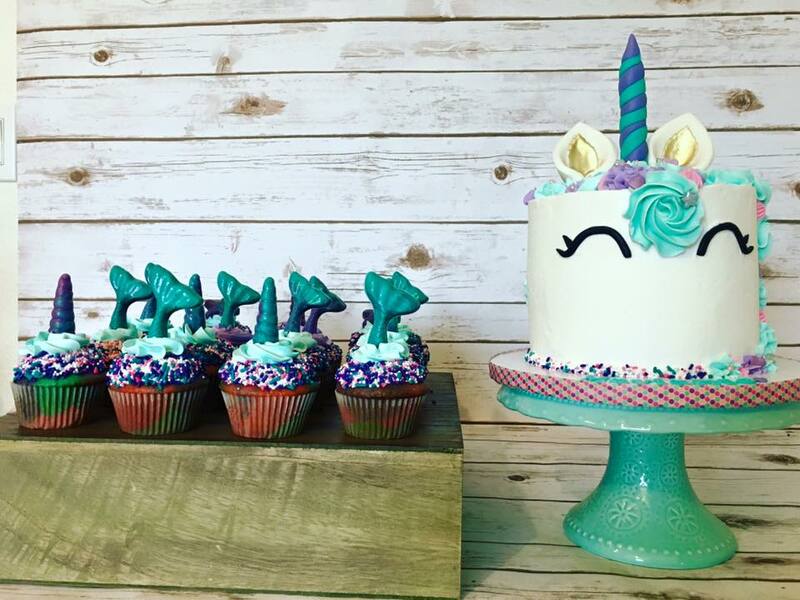 Wow, this Unicorn cake and cupcakes for a Unicorn & Mermaid themed celebration are just toooooooo adorable! I hope this trend is here to stay for a while. 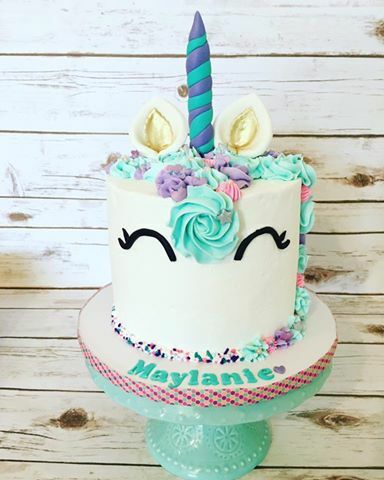 Unicorn cakes start at $75 – this includes your choice of colors and customization. 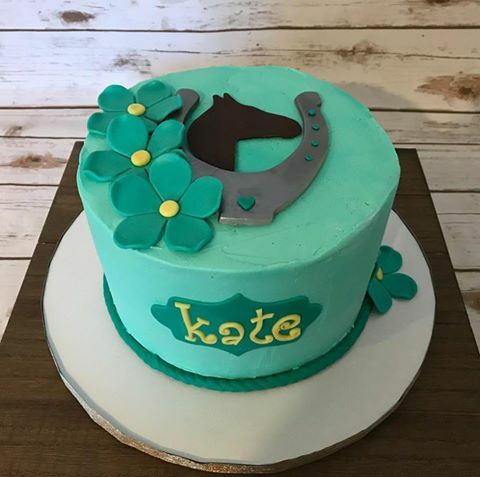 Also, all of our cakes come on a thick cake drum with matching decorative ribbon and a birthday message to complete the design and give it a beautiful look when displayed! 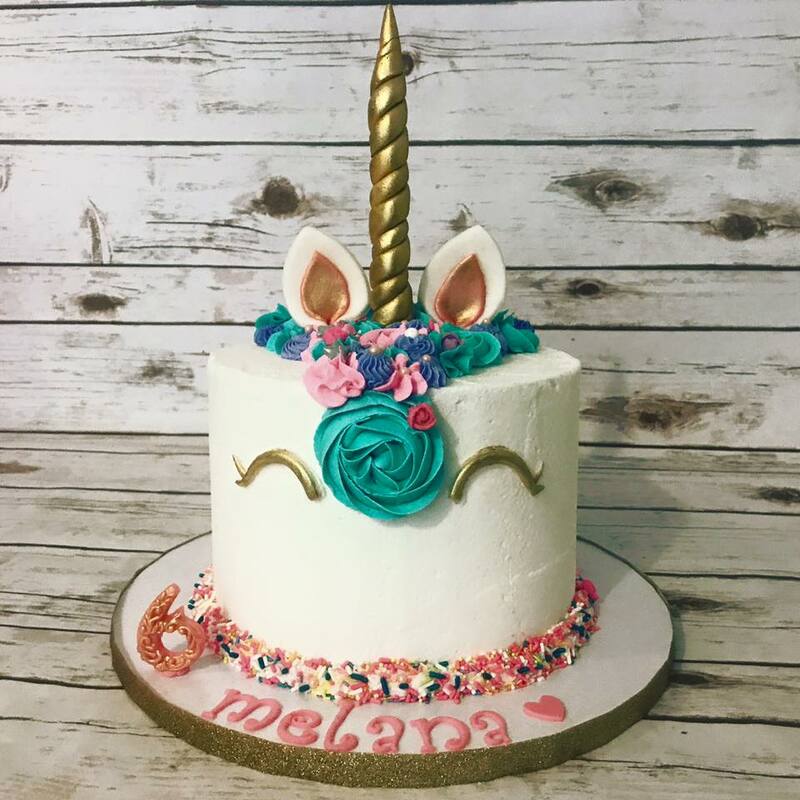 Hidden Gem Cakes has the Unicorn trend on point. Call, text, or message us on our Facebook page today to order yours! 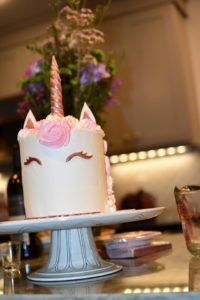 We book up fast and always suggest 2-3 weeks notice when ordering your custom cake. Rush orders (less than one week notice) are done whenever possible with a small rush fee. 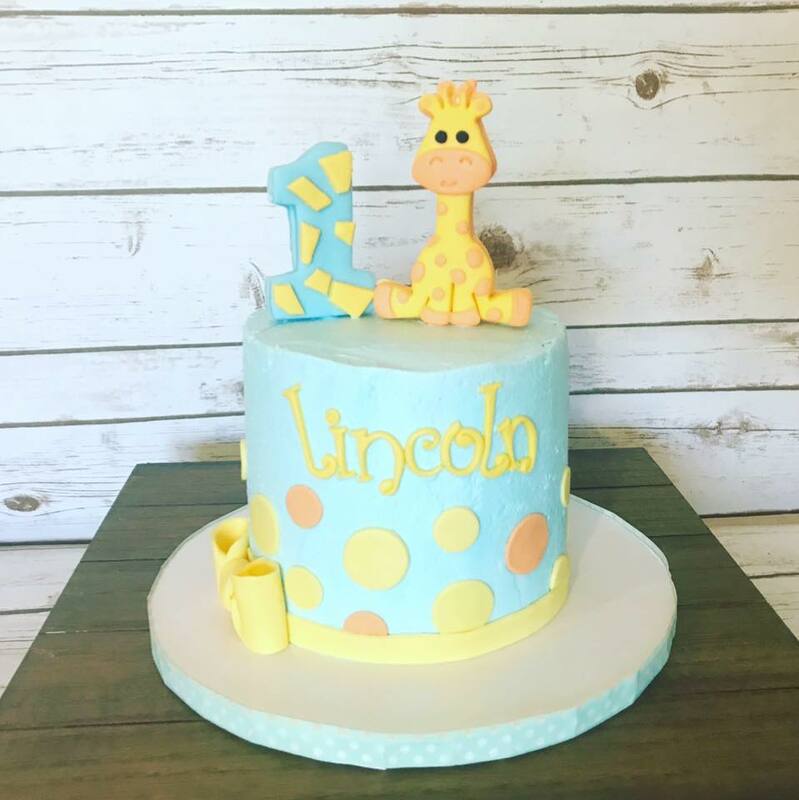 Check out all of the most recent cakes from Hidden Gem Cakes in Phoenix on our Facebook page! 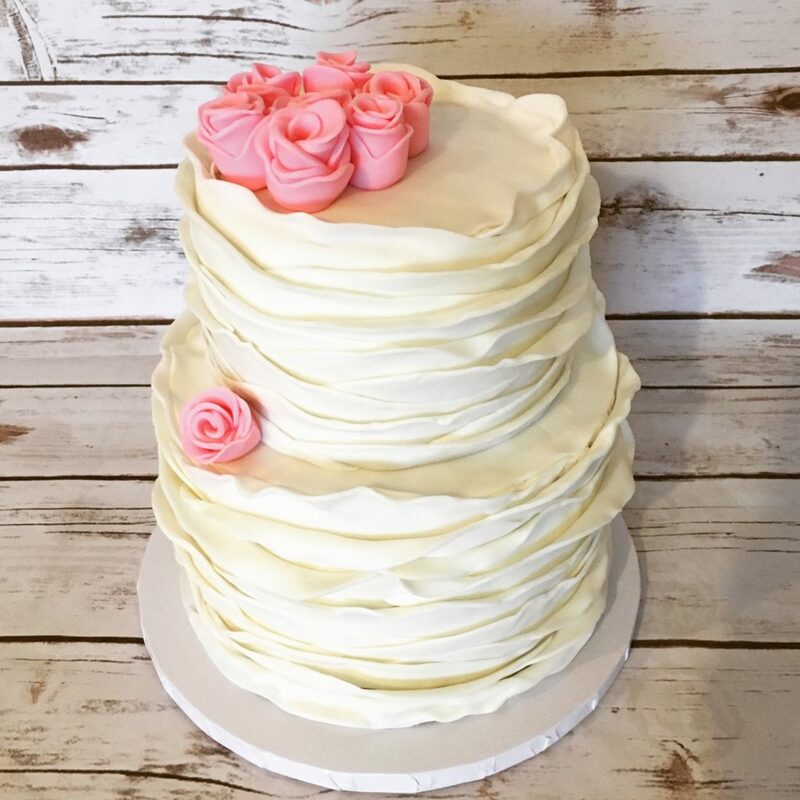 Click on the ruffle cake below to head over to Facebook now. We are almost fully booked for May! 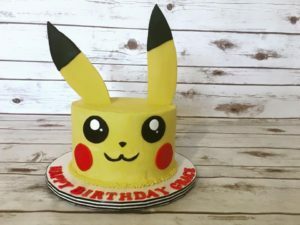 Call or text today to get started on creating your custom cake or other dessert at Hidden Gem Cakes!